Agonizingly suspenseful and dense with mystery. Prisoners takes as intensive and elongated approach to the kidnapping story as there has ever been. I will not be shy as to say this is “The Gone with the Wind” of ransom movies, meaning it is very long, but it also had me spellbound in anticipation of what would happen next. I’ve seen the formula so many times before (“Ransom” with Mel Gibson was solid formula, but formula nonetheless), but the screenplay and direction tackle swings in atypical characterizations. Hugh Jackman and Maria Bello are the parents Keller and Gracie Dover of one kidnapped child, but they hardly go by the prototypical movie-ish mold. There is one obvious suspect (Paul Dano as Alex Jones), who even slips out suspicious words no one else hears but Dover, and so Dad takes revenge into his own hands. The results in vigilantism are as wicked, bruising and soul-deafening as anything in the Danish film “The Vanishing” (1988) or the South Korean film “Lady Vengeance” (2006). The Dovers’ are friends with the Birch family (Terrence Howard and Viola Davis) whose daughter simultaneously vanishes the same Thanksgiving Day. There is one visual clue: an RV camper suspiciously parked out of place in a residential neighborhood. There is no doubt the camper belongs to Alex Jones, who is said to be a legal driver’s license holder but too stupid to be capable of a crime. Keller declares Alex is faking his retardation, and so after the police release him after a 48 hour holding period, Keller switches from search party participant of his own daughter to Death Wish avenger. 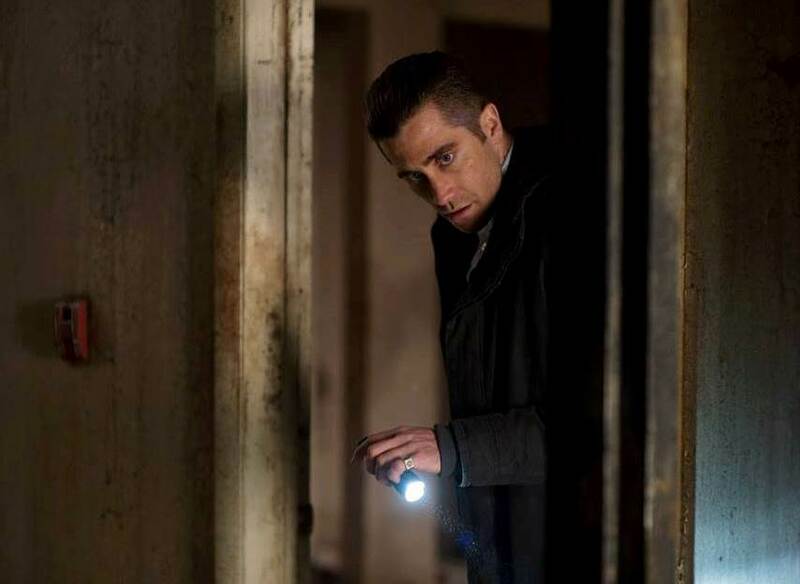 As the head of the investigation of two missing girls, Jake Gyllenhaal, interviewing various creeps and searching through various dank basements, has matured enough that you buy him as the role of lead detective. 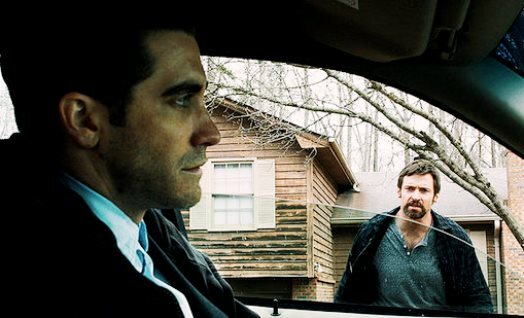 I believed in Gyllenhaal taking command in this small Pennsylvania province (seeing him as a West Coast detective is another story). He doesn’t get one iota of respect from Keller Dover, and you might be able to arguably say that he loses time searching for two missing girls because he has to keep a vigilant watch out on Keller and his family, appearing keen on hurting themselves. The tension between two “good guys” is compelling and unexpected. Yet the mystery itself of what happened to the girls, whether it was a premeditated kidnapping or not, and whodunit, is complex in set-up and gasping its way to a pay-off. The violence, the well-being of the victims, the implications of injustice, are severe. 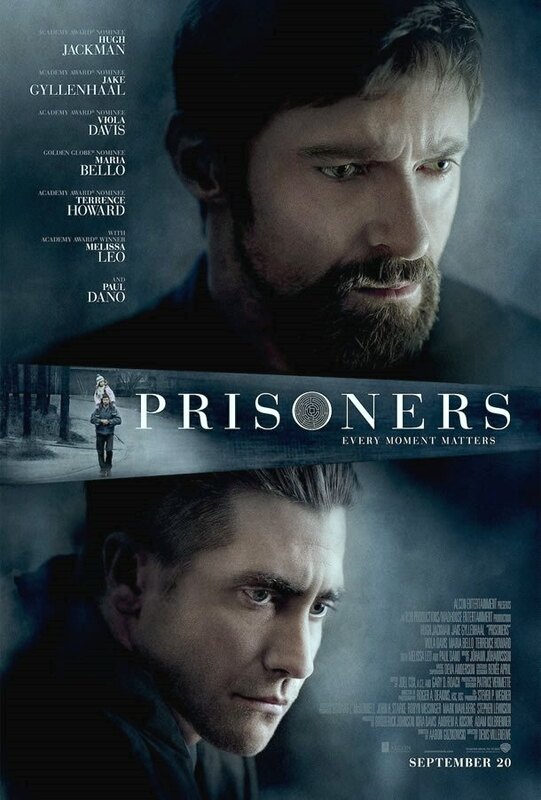 If “Prisoners” reminded me of relentless extreme foreign films, it also reminded me of “The Silence of the Lambs” (1991) and “Seven” (1995) when it comes to that rare uncompromising American thriller that is cloaked in darkness and sadness. I had a couple of moments when I wasn’t exactly sure who the Detective was interviewing, but I found the film nearly flawless. The director is French-Canadian Denis Villeneuve (his previous “Incendies” is another uncompromising, severe mystery seeped in kidnapping, torture and revenge), and the screenwriter is Aaron Guzikowski (“Contraband” was his first screenplay). The two of them are serious artists who don’t bow to convention. Film Cousins: “The Silence of the Lambs” (1991); “Ransom” (1996); “Mystic River” (2003); “Lady Vengeance” (2006, South Korea).